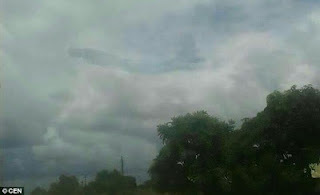 A human like being appeared just above Mukuba Mall in Kitwe, Zambia. manifestation of God by some of the people present. was cut from different materials. 0 Response to "Shocker! 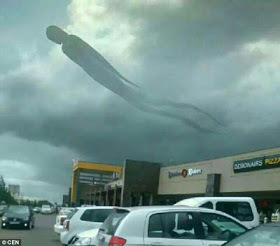 Weird Being Seen Just Above A Shopping Center In Zambia"